Cassie Simon is a struggling artist living in New York City. When she receives a call from a magistrate telling her she has inherited sixty acres of land in Sweetwater, Tennessee, from her grandfather, whom she never knew, she takes it as a sign: it’s time for a change. She moves to the small Southern town where her mother, Ellen, grew up—and where she died tragically when Cassie was three. 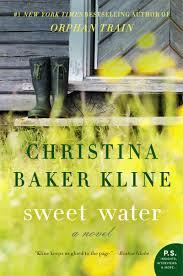 From the moment she arrives in Sweetwater, Cassie is overwhelmed by the indelible mark her mother’s memory left behind. As she delves into the thicket of mystery that surrounds her mother’s death, Cassie begins to discover the desperate measures of which the human heart is capable. 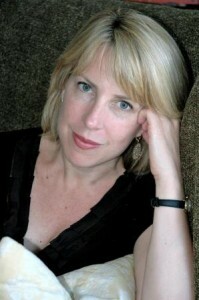 Christina Baker Kline was born in England and raised in Maine. The author of five novels, including the runaway bestseller Orphan Train, Kline has taught literature and creative writing at Yale, New York University, and Fordham. She lives outside of New York City. This is one of those books that had me reading passages – especially the italicized parts that took place in the past – out loud, so I could feel the way the language fit in my mouth, as well as my brain. I don’t do this a lot, but when I do, it’s always with a book I want to truly savor. Author Christina Baker Kline has woven a tapestry depicting a mother and daughter who never get to interact directly, but impact each other’s lives both directly and indirectly. Cassie, the daughter, is curious, questing, artistic. Ellen, the mother, long since deceased, feels like a living presence, despite existing only in flashback-like sequences. The supporting characters – Cassie’s lover, her father, Ellen’s friends – are woven just as vividly as the women at the heart of the story, and even Sweetwater itself feels more like a character than a mere place. This novel isn’t particularly long, but it also isn’t a fast read. Instead, it’s one to be absorbed slowly, like an unwinding country road through a field of wildflowers. Goes well with Sweet tea, fried catfish, and hush puppies. This review is part of a blog tour sponsored by TLC Book Tours. For more information, and the complete list of tour stops, click HERE.